In Traditional Chinese Medicine, vibrant eyes and healthy skin are believed to be an indication of one's internal health and well being. 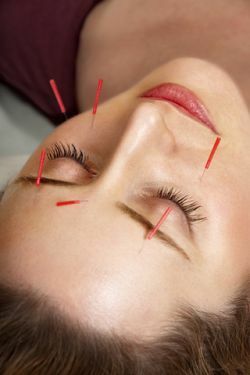 Acupuncture and Natural Facial Rejuvenation are the keys to beautiful skin. These specific treatments help target areas that require additional attention. As we get older, it becomes difficult for Qi to flow upwards to lift and sculpt the face. Over time, this will lead to inadequate muscle tone, wrinkles and facial sagging. Contributing aging factors are poor diet, digestion and circulation issues, sleep deficiency, emotional and environmental conditions. We will discuss your overall body's health and wellness prior to incorporating any skin care regimen. The ancient knowledge and teachings of Traditional Chinese Medicine, along with Western Techniques of Skin Care analysis, are used to provide a safe, effective, natural and drug free approach to reducing the signs of aging. Facial rejuvenation provides ancient techniques to help improve facial and neck muscle tone, while addressing contributing underlying body imbalances. Patients noticed marked changes in the quality of their skin's texture and muscle tone when needling points on the face or areas of the body harboring cellulite. Individuals may notice a radiant glow, a tightening of the skin and increased muscle tone, and reduction or a disappearance of thin fine facial lines when combining a skin care regimen with acupuncture. A non-surgical, virtually painless method used to reduce the signs of aging, via small sterile needles or E-Stem. 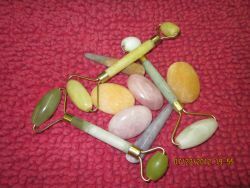 Gua Sha, cupping, and a variety of products also have the ability to enhance the skin. 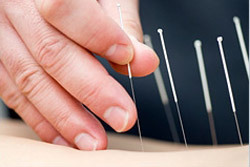 The skin is a reflection of your internal health and cosmetic acupuncture is a holistic approach. Taking the pulse, looking at the tongue, discussing diet and exercise are important factors that contribute to an individual's overall well being. A full constitutional treatment that views the face as an extension of the body's meridians which flow from the soles of the feet to the crown of the head. When the face is needled, blood flow and Qi carries nutrients to the cells. The body interprets the insertion of the needle as a "positive" injury (micro-trauma), through "stimulation of fibroblasts which may increase collagen output", increasing the overall facial tone and texture, decreasing eye puffiness, as well as enhancing the firmness or sagging skin. 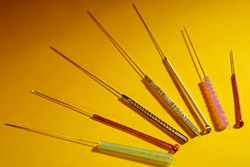 The use of facial acupuncture treatments on a regular basis, in conjunction with the use of home care professional products, will resolve skin care issues. Results will vary, depending upon your specific skin care needs and targeted areas of concern. A course of treatments involves 10-15 sessions and each appointment should be scheduled once or twice per week until the package is complete. A maintenance program involves one treatment per month and most clients experience results by the sixth or seventh session. Home care maintenance is an important part of cosmetic acupuncture and incorporating Skin Scripts Rx into your daily skin care regimen will provide the cellular turnover to enhance your skin tone and texture.